Home > Fashion News > Where To Find The Best Cosplay Costumes? Where To Find The Best Cosplay Costumes? Cosplay has become popular in the last two decades that there are now several events that showcase different cosplayers and their intricate costumes. These events are not only held in Japan, but also in other countries such as the US. Here is a list of different anime conventions where you’ll get the chance to see the best cosplay costumes. The Anime Expo, hosted by the Society for the Promotion of Japanese Animation, is an annual convention held in different cities in the US. It is usually held during the country’s Independence Day weekend, and it showcases amazing and intricate cosplay costumes. The Anime Expo also hosts fashion shows, music competitions and exhibits. If you live in or near Los Angeles, then you should try and visit the expo on July 4-7, 2013. If you live in the northwestern side of the US, then you should watch out for the Sakura-Con. This event is hosted by the Asia Northwest Cultural Education Association. Just like the Anime Expo, it also showcases the best cosplay costumes in this side of the country. You can also participate in other events such as exhibits, music competitions and the convention itself. A-Kon is one of the longest anime-based conventions in the US. It offers not only entertainment, but also educational activities for those attending the convention. The best part of A-Kon would always be the showcase of the best cosplay costumes in the country. You’ll surely enjoy the costumes and learn more about anime and Japanese culture at the same time. 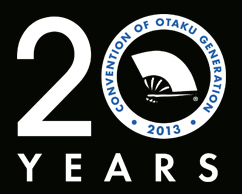 If you are interested in A-Kon, it would be held in Dallas in 2013. Otakon, or the Convention of Otaku Generation, has started as a small convention in 1994 and has grown in number ever since. Just like other anime conventions in the US, the main attraction in Otakon is the best cosplay costumes that otakus, or fans would be wearing. You’ll also get to learn a lot about Asian culture and more during the convention, which would be held in Baltimore on August 9-13, 2013.